Hey just managed to get ics on my beagleboard and was wondering if theres a way to control the brightness from android? This is possible by special PIC firmware. But frankly speaking, I have no idea when can find time for this. Is there a easy way to force max brightness? Eg just connecting the two light sensor wires together? Yes, just short pins CFG1 and CFG2 on CON3. Is there a way to have PIC completely turn off back-light LEDs from OS’s ‘put display to sleep when inactive’? I’m using this with a BeagleBoard xM running ubuntu 10.10 and would like the screen to go completely dark (not just blank) when not used for awhile. 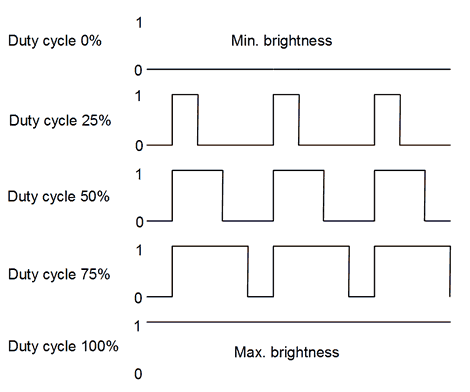 I understand the ambient light sensor part, but even disconnecting that leaves the back-light LEDs on at a low PWM setting. I see the PIC is connected to a SCL line that I’m assuming becomes inactive when the OS puts the display to sleep (haven’t probed or traced where that line connects beyond CON1 pin 14), but doesn’t seem to use that input for either PWM or LED_ON output. PIC controller has reset pin (pin 4, MCLR#) connected to signal PUP from BeagleBoard. You can control this pin from user space under Linux. When PIC in reset state, LCD will be completely off. Hi, can you please post a photo of the CFG1 and CFG2 short pins for forcing max brightness? I have the 10″ kit for Raspberry pi and the display is always very dark. Anyway, great quality of the product. Andrew, you should check wires that goes from light sensor to black color connector. Probably one of wire is damaged? Yes, you should drive low signal PUP (CON2 pin 18) – this pin is usual GPIO on mainboard side, so it can be controlled from user space. Should be public, check again.